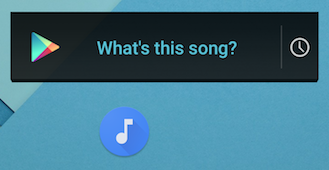 Back in August, we spotted Google's new Sound Search widget tucked away inside an Android M Developer Preview. There are now two different Sound Search widgets in Marshmallow: one of them is bundled into Google's Search app and the other is from the dedicated Sound Search app, which has been upgraded to version 1.2.0 with Android 6.0 (on the other hand, the version in the Play Store still hasn't been updated for two years). 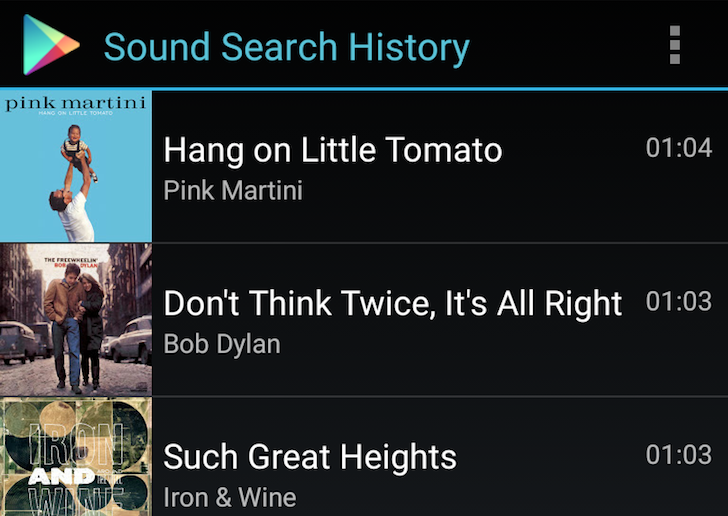 Despite the fresh coat of paint, the latest Sound Search app does lack some features that were available in the old version, not the least of which is the ability to quickly access your previously searched songs. While not ideal, this shouldn't be too big of an issue, since at least you can continue to view your history online. However, in Marshmallow, not only has the history functionality been hidden, it's actually been removed entirely. This means that any new songs you search for will simply not be saved to your history log. You don't have to worry if you're not on Marshmallow though: if your device is running an older version of Android, you'll still have the old Sound Search that works as it always has. On top of that, both widgets still identify songs on all Android versions, and all your old searches are still available online as before — it's just that new searches will no longer be stored to your account on Marshmallow. For users who rely on Sound Search to keep track of new songs they discover, this is understandably frustrating. There are already a few complaints online, and Google is at least aware of the issue. 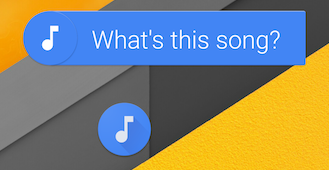 Unfortunately, it also considers this to be the intended behavior for Sound Search in Marshmallow. There is some mention in the issue tracker that search history will eventually return in some future build, but given Google's track record for bringing back old features it removed for no reason, I wouldn't hold my breath. In the meantime, if you find you really need to keep a log of every new song you come across, your best option is probably to use some other service like Shazam. If for some reason that doesn't suit you, you can always just buy a brand new Moto E, since that will be on Lollipop forever.